Join us on Wednesday 13th April from 8-9pm for the another Code Club Twitter Chat! 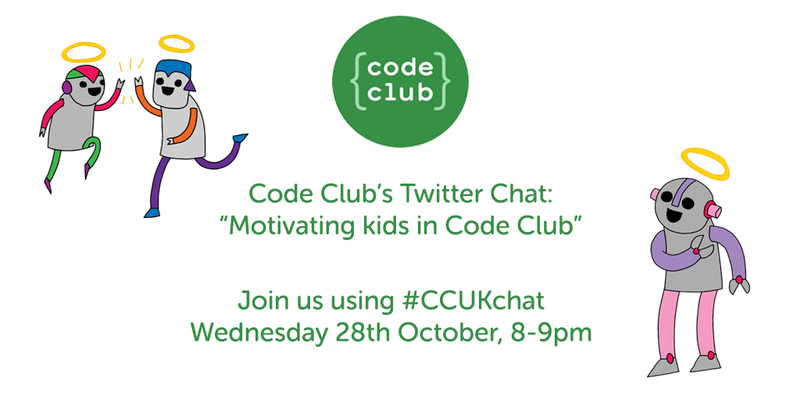 This month we’re changing things up a bit and the #CCUKchat will be focussed on answering any questions you may have about Code Club. Got a question about our curriculum? A technical query about how to activate your club? A general enquiry about how to find a volunteer for your club? We can help! Send us a tweet with your burning questions, and our team will do their best to answer them. Code Club Twitter Chat, Round 2! 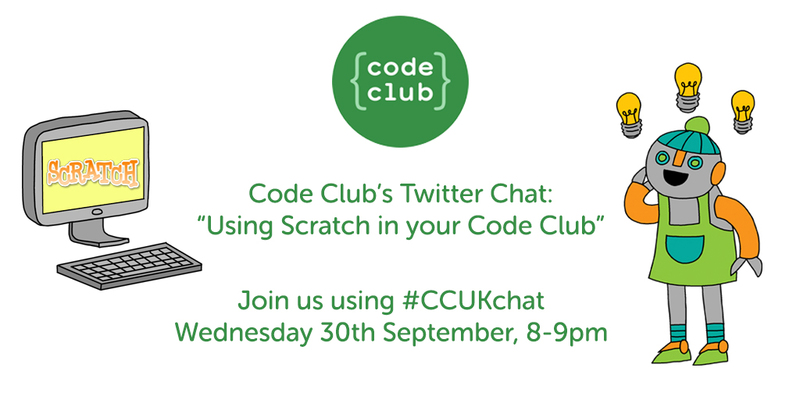 On Wednesday 30th September, join us for Code Club’s second Twitter Chat! Following on from the success of our last Twitter chat session, we’ll be hosting another opportunity for the Code Club community to come together to share their knowledge and experience, and for new or prospective volunteers to ask any questions and queries they may have. This month our focus will be “Using Scratch in your Code Club”, and we’ll be joined by Code Club’s Participation Manager, Sarah, as well as our Director of Education (and all round Scratch wizard), Rik.